Updated: The title of the final book of The Heroes of Olympus series by Rick Riordan has been revealed. If you look into mythologies there are characters in it that you would immediately recognize despite the lack of description. In fact, in most Greek vase paintings no labels or names were added and people would immediately know whose story's being told in a particular pottery. 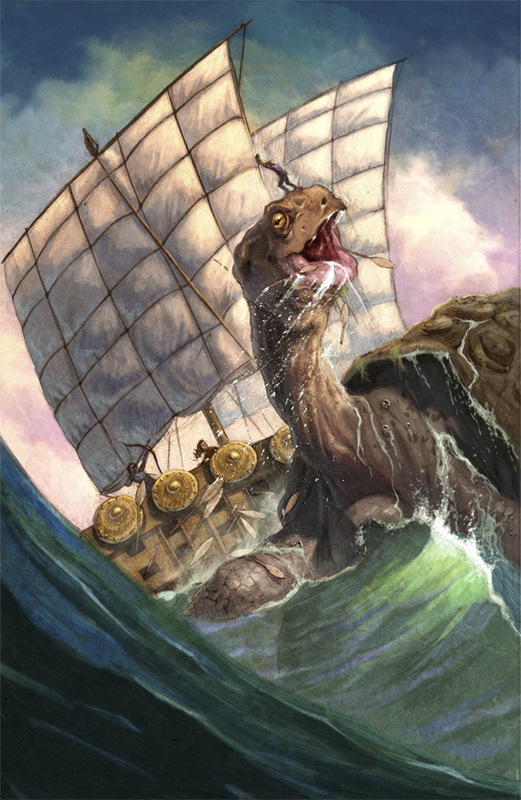 In Greek mythology, the bandit Sciron, who is also a son of Poseidon, once kicked clueless men over the Sceironian Rocks, a cliff on the Saronic coast of the Isthmus of Corinth. What's waiting in the sea are gigantic turtles that would prey over this helpless men. He was killed by Theseus in a similar manner when he travelled on his way from Troezen to Athens. Do you think that Percy and the other demigods will cross path with this character on their way to the House of Hades? 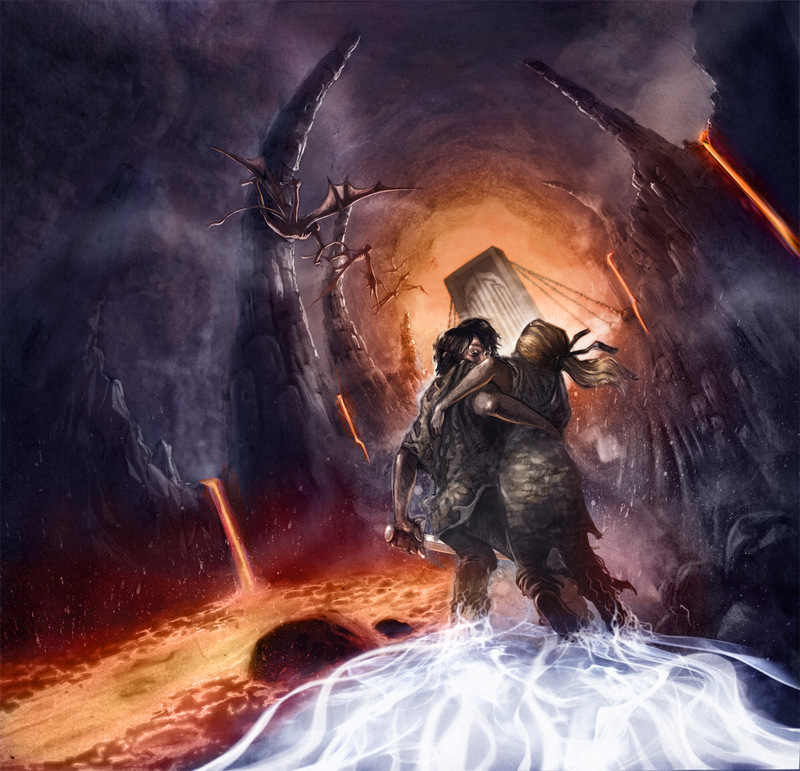 See for your self this new The House of Hades art by John Rocco if it sheds any light to future story spoiler. Here is the unedited cover art for The House of Hades (minus the typeset, jacket design and logos), if you would like to see it. The House of Hades is the penultimate book in the bestselling Heroes of Olympus series. They have no choice. If the demigods don't succeed, Gaea's armies will never die. Heroes of Olympus: The House Of Hades by Rick Riordan will be released on October 8, 2013.